The main road in town is being dug up to have it's pipelines replaced. The surrounding streets have to endure 9 more months of chaotic traffic until the road re-opens. In a country where punctuality is paramount a delay won't be tolerated with patience, so the pressure is on the council and workers to meet the deadline. This morning (April 1st) the local mayor announced workers had found the tip of an ancient viking blade and the whole area is an archaeological treasure chest, that will need to be excavated. Experts are flying in from around the world and the road will now be closed for up to 5 years. Which is not hard to believe considering Fyrkat, the remnants of a viking ring castle, is located less than 1km away . The locals I had spoken to were hopeful it was an April fools joke, but remained unsure until the truth came out later in the day. Some people were hoping it was true. Aristotle gets a mention in my A post today because I came across these 24 quotes from Aristotle this morning. My initial reaction was No. People with knowledge have done/do evil things and not all ignorant people, bless their souls, are evil. Then the picture started to emerge, Hitler was ignorant and evil. And then my own personal experience made me nod in agreement. All the evil things I have to endure were truly born out of ignorance. It makes understanding the motives of and forgiving those people a whole lot easier. Do you have a favourite Aristotle quote? What was the best April fools joke you heard this year? 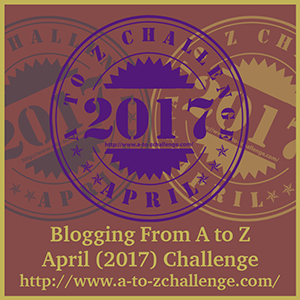 29th March 2017 - Muscle memory has kicked in and my A to Z challenge cells are demanding action. My themes always tie in with where I am at the time I first thought of doing a theme. This will be my 5th challenge. The first year I blogged about healing with words. Year number 2 was about the 26 greatest loves of my life. The third year was a bit of blur as I described the journey of being a carer for my mother who died of motor neurone disease (aka ALS.) 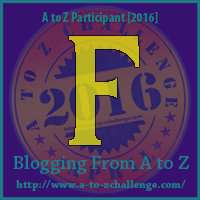 Last year was an A-Z of my journey starting a new job as a fitness instructor when I was in the worst condition of my entire life. This year has finally been the year where our ways of eating have become a big focus in our household. We have eaten too much, too often, for no good reason. My immediate thought was wading through an A - Z of diets and healthy eating. The ones we have tried, the ones we think are ridiculous. Why different bodies need different interventions. The contradictions, misconceptions and even a few delicious recipes. 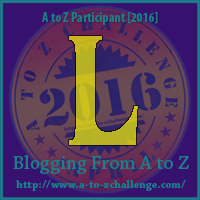 BUT.... all that changed when I saw the A to Z BINGO CHALLENGE post and thought now there is a list packed full of inspiration. So I guess if you happen to be looking for a fasting alien in deep outer space, on a motorcyle with a new pet fossa eating grain free bread, who thinks it's unfair that only humans can be called astronauts you might find it here this month. A post that made you cry might be tough for some in the Bingo Challenge, but I have tear jerker from a couple of years ago that I might refurbish ... it would cover the dog image on the bingo card too. 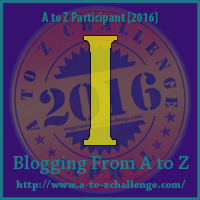 I do kind of wish I could forget April is A-Z month, it feels a bit like cleaning out my wardrobe. A job I always put off but it feels so rewarding to complete. 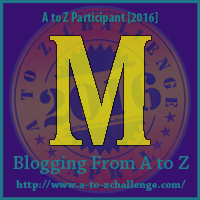 Happy 2017 A - Z Challenge everyone, looking forward to reading many of your posts. Um... Verified Winner X. Year Zagged. Um - I don't know what happened to the month. It feels like New Years Day was yesterday and we are in May already. Year Zagged. This years challenge took a sharp change in direction, but I'm doing this final post to close things up and would like to thank the people who popped in and commented along the way. 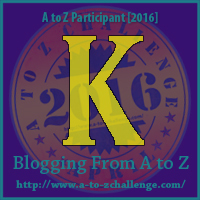 While this years A-Z challenge was more of an alphabet soup for me, I have managed to claim victory in the directions I'm zigging towards. My weight remains the same but my fat percentage is down. I created a couple of new body toning and cycling programs that members enjoyed. I ate well most days and on the days I indulged I didn't over indulge. We cleaned two rooms in our house so now we have an office/spare room and a fitness/games room. My greatest victory was finally managing to get windows to work on my mac, for much needed access to a Indoor cycling program available only on windows, completely legally and free. That challenge kept me awake many nights over the last month. Changes of career are never easy. Despite feeling as if working in a gym is the easiest job I've ever had, it's certainly nothing compared to the stress of an acute surgical or geriatric dementia ward, the challenges have still been many. I have never used so much time outside of work hours to complete something as simple as an hour long fitness class. I'm not even close to looking fit and far from being as fit as a lot of the participants in my classes. I have to win them over with science, attention to detail and a whole lot of bravado. That means lots of research and confidence building. I do a bit of everything from body sculpting, circuit and indoor cycling group fitness classes, to reception and even cleaning. Simple things like answering the phone in a foreign language has been a hurdle that I have managed to leap over. I've had a few moments of self doubt, especially when class numbers are low, but I have gained a few supporters that have said many kind words. I realise that most people don't show up to class again because they would prefer to stay in bed on a rainy day or perhaps even enjoy the outdoors on a sunny day, rather than anything to do with my performance. It's no secret we have to prioritise things that are important to us. In this vain I am pleased that working on my fitness has been a higher priority than just writing about it. I also know that even the hardest of new starts become easier over time so I hope to be back to next years challenge, well settled into my new role with much more time to spare, so I can share my experiences in this blog. I'll be floating around to check out posts that sign up for the road challenge and who knows, I may even commit to a monthly post between now and next April. 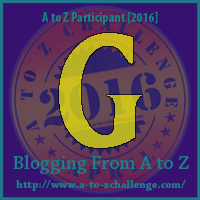 O, P, Q, R, S, T #atozchallenge. Watch this space. I've instructed 5 indoor cycling classes in the last 10 days, the sixth starts in about an hour from now. I'm the new kid on the block that is struggling to build her class numbers. I have a language barrier, physical barrier and experience barrier. I'm working really hard to build confidence in me, both for the gyms members and for myself. For some equally smart/stupid reasons, I've made a seperate music playlist for all 6 classes. I have discovered my inner DJ or I've managed to find another major source of distraction. Some people can put a music playlist and workout program together in a few hours, it takes me days. It took me over 4 hours to add two Prince songs to my "tribute" playlist for this morning's class. I use a program called Mixmeister to chop and piece together songs and music. I like my program and music to be timed perfectly to the second. The music needs to jump when I say jump. It has to tell a story, even if most people in the class don't understand the words. I want to help them understand. I was up till after midnight again. Watch this space... later today I'll be doing a big catch up.... and seeing as I labour over my blog posts as much as I do my playlists it might not get finished until Sunday. Woah - hang on a second, there's a few hundred words here now. Lots of O, P, R, S and T words... It hasn't taken me very long, this gig gets easier the more you do it. I feel as if putting my sneakers on just added 3000 steps to my step counter, without having to go to far. I wish my step counter would count time on the bike. That's a whole lot of unrecorded effort, but I can feel the results in my legs. They are stronger, lighter, faster, better. It's time to get back on the instructors podium. The two Prince songs I've added to my playlist are 'Let's go crazy' as my opening and 'Purple Rain' in the finale... I shed a tear yesterday when my bonus boys heard it for the first time. I can't promise I'll write more. 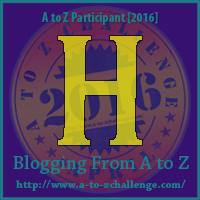 If I don't I will have plenty of time to catch up on a lot of other people's #atozchallenge posts. In weight training the negative part of the movement is the part that is helped most with gravity. The way down during a push up, the lowering back to the floor part of sit-up. Also known as eccentric contraction. Increasing effort or load during the eccentric or easy part of the exercise can improve your strength, help with progression and is often used in rehabilitation. Swimmers can use negative resistance by swimming with clothes on, runners can use a small parachute attached to their back. In weightlifting it is often done with partner or spotter, that helps lift the heavier than normal weight back to the top again after you struggle with it on the way down. Alternatively weightlifters will do the eccentric phase or return very slowly or hold for a few extra seconds to resist gravity. This N post took longer than expected because I've been struggling to find some sort of real life example of the positives of negative resistance. Why make things harder for ourselves than they already are? I been stuck thinking about the negatives of weight loss, clothes no longer fitting, emotions stored in lipids and how they come to the surface as fat cells melt away. Sometimes even a positive is difficult and it just feels easier to give up when things become to hard. Then it dawned on me lifting 100kgs is never easy. Adding resistance to anything is never easier, but the joy comes from both attempting and achieving. I hate adding resistance to my bike when I'm spinning but I feel like wonder woman when the climb is finished. Maintaining relationships, eating right, keeping fit, writing a book - none of it is easy. Doing half a lift, talking about tough things when your in a good mood, savouring one piece of chocolate instead devouring the whole block will all help make the next leap to bigger, better, stronger, accomplished easier. This weekend I have 4 group classes in 24 hours. Friday morning I have a circuit group. Friday night I'm subbing for one of the indoor bike instructors. Saturday morning I have a body sculpting group at 8.30am followed by my first new time slot cycle group at 9:45am. A seasoned professional would have a plethora of workout routines and playlists at the ready, and enough mobility in all her muscles to breeze through the extra routines with maybe a bit of extra muscle soreness over the next few days. I've mentioned my physical challenges in previous posts. I am only six months in to my career as a fitness instructor and for three of those months I was on holiday. I need to free up some time this weekend so today you get K late, L on time and M early - all in one post. Kyphosis is the excessive outward curvature of the upper spine or sacrum (fused bones at the base.) Commonly referred to as hunchback in the upper spine. I have been diagnosed with a mild case of lumbar (lower) hyper- (excessive) lordosis (normal inward curvature of the spine.) Commonly referred to as sway back, hollow back or saddle back. There are many exercises like bridges and supermans that will help both conditions. Foam rollers and resistance bands are used a lot in corrective exercises. Google image both words to start a search for extra ideas. Before my career change I was very immobile. I have several joints, nerves and muscles that complain loudly when I ask too much of them. The key is to ask gently and show your muscles what they are capable by briefly and regularly pushing them to their limit. The best thing for mobility is keeping in shape and occasional pain relief. Strength and balance exercises are keys to rehabilitation and maintenance. That's it for today and the rest of the week. K for kyphosis, L for Lordosis and M for mobility. 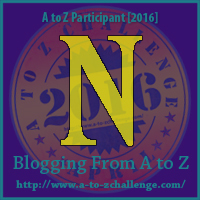 See you Monday for the letter N.
I did it. 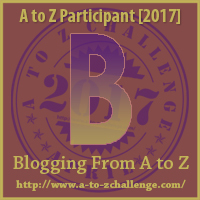 I missed a day of the challenge so here I am on the morning of the overdue date, staring at a blank page deciding whether I really need to keep up the effort to do the rest of the #atozchallenge. 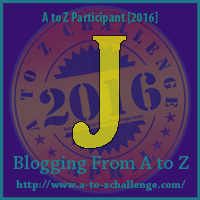 I type 'J is for' in the post title, stare for a while and head over to Facebook, just because... you know. I spend an hour tweaking my playlist for tonights spinning class. Why can't spinning or playlist start with the letter J? Jogging comes to mind, but I'm not a jogger. Then I thought about Jumping but if you go back to my first couple of posts you'll learn why I don't like exercises that makes me bounce... though I do bounce more than I did at the start of this Journey. While mindlessly browsing my Facebook timeline I came across another Fitness Blender post, that just happened to have a J word in the post description.
" If you're lacking motivation for your workout today, do at least just this 20 minute workout. You'll be glad you did!" It's low impact, which means its good for beginners or as a recovery workout for advanced trainers. It has already inspired my J post today... and if I didn't have a spin and circuit training class this afternoon I would probably just do it too. If it seems too much there is always marching on the spot. I am constantly impressed by people arriving at the gym complaining that they don't want to be there... but there they are. I tell them 50% effort towards being fitter is still 50% better than sitting on the couch doing nothing. Isometric comes from the Greek term "Isos" (equal) and "metria" and means having equal measurement. Isometric exercise are thousands of years of old, and are still used in modern exercise programs. The angle of a joint or length of a muscle does not change during and isometric exercise. The opposite is isotonic movements, when joints move on their different planes, and the muscles involved do either a concentric (shortening) or eccentric (lengthening) contraction. Isometric resistance is typically provided by body weight, a structure or object (e.g. a wall,) resistance bands and weights. There are two types of isometric exercises. Overcoming and yielding. An example of a yielding isometric exercise is when you hold a contraction steady instead of performing a full range of motion. An overcoming isometric exercise is when you, for example, put more weight on the barbell then you can possibly lift and exert pressure towards or against the weight as hard as you can - as if you were trying to lift it. The benefit of overcoming isometric moves is when your strength wanes you can still exert maximum pressure without risk of injury from dropping the weight. Isometric exercises can be done seated without anyone knowing you are doing them, and are also easy enough to be used in rehabilitation and by geriatrics. Try putting your hands in prayer position in front of your chest. Elbows out the sides and press your palms together until you feel resistance. If you want to turn it into a a chest and arm workout press as hard as you can for 5 sets of 5 seconds, or three 30 second long sets. Did you feel your pecs burn? Youtuber Bretcap gives a whole upper body workout in the following video. He keeps his shirt on for most of it. Hyper -(excess) trophy (nourishment) is the increase of an organ due to the enlargement of it's basic cells. Excess nourishment sounds like an oxymoron to me. The main reasons for wanting hypertrophy in muscles is strength and/or aesthetics. Making gains or getting shredded is both a simple and complicated process. While there are some basic do's and don'ts no one formula will work perfectly for everybody, but consistency will bring results. People with big muscles are harder to kill.... and generally quite useful for many things. Bigger muscles don't necessarily mean stronger muscles, but they're still strong. Don't lift heavier weights at the expense of good form. The goal should be controlled full range of motion. You can tell a lot about a person by how they lift weights... Slow and steady movement, attention to peak contractions and focus on breathing, yes please. Jerky repetitions, poor form and in too much of a hurry - no thanks. Compound exercises that work multiple muscles at once, like squats or power/dead lifts, will do more for your abdominal muscles than single movement focused exercises. Almost every gym will tell you that hypertrophy occurs with 3 -5 sets of 6-12 of repetitions at around 60-80% of your maximum load. For example if your single repetition maximum is 100kgs, you could do 3 sets of 10 repetitions at 60kgs, with a pause between each set. This gives a total of 30 repetitions. Alternatively, the jury is out is on whether or not 10 sets of 3 repetitions (also 30 repetitions) of a heavier weight 80kgs is less, more or just as effective. Which brings me to my final point on this subject because this is meant to be a short post. When it comes to hypertrophy knowledge alone is not power. There a millions of pages of information online, I've read hundreds of them and none of them have made my muscles bigger. Applied knowledge is the most effective training strategy. Apply any, all or some of your hypertrophy knowledge, eat well or at least better and your muscles will grow, in a surprisingly short amount of time. When it comes to excess I can think of plenty of other lifestyle habits that are worse then bodybuilding. What is your reflex reaction when you see giant bodybuilders? In Ancient Greece, a gymnasium was a training facility for competitors in public games. There was a strong link between athletics, education and medicine. The word is derived from the Greek word 'gymnós,' which means naked. In Denmark (and other parts of Europe) a Gymnasium is an upper secondary education facility. Gyms as we know them are usually referred to as Motion centres. Since I'm not re-inventing the wheel and just passing on information, here's the Wikipedia page link for more fascinating facts on ancient greek gymnasiums. Here's some bits I found most interesting. According to Plato it was Prodicus who first developed a connection between gymnastics and health, which was later improved by Hippocrates. Throughout ancient Greek medical writings special exercises are prescribed for healing specific diseases and the same connection is still suggested by experts today. I've long believed that healers have many guises. For example your local hairdresser often provides a social service that extends far beyond cutting your hair. Personal trainers and fitness instructors rate high on my list of guised healers. Since the gym I work in opened 6 months ago, I've witnessed some incredible changes in many of our members. One woman told me she has previously spent thousands of kroner (Danish currency) on psychiatric help that had no obvious benefit. Since joining the gym she is 20 kg's (44 lbs) lighter. No longer suffers from anxiety attacks and has changed her diabetes medication from insulin injections to tablets (I would find this hard to believe if I'd only heard this information second hand.) She speaks so highly of her personal trainer, and I agree he is marvellous, but I also remind her it was her own dedication that made the biggest difference. Her husband is so grateful to have his happy, healthy wife back. Aside from the naked definition. I love the idea that a gymnasium is a centre for physical pursuits, learning and healing. While I understand some people prefer to be left alone when they are training, gyms can be social centres too. I encourage members to find a training partner to help hold each other accountable. Compliment people you see working hard. Offer tips to people you see struggling with a move. Ask people to show you a technique you aren't familiar with. Strike up conversations and share information. Suggest an interval challenge with the people beside you on the treadmills or bikes. Get to know each other or at least smile at one another if you recognise each other down the street. If you are a member of a gym do you try to socialise with other members? The most fascinating thing I've learned about flexibility is many of the facts are false. There are two basic types of stretching. Passive or static and active or dynamic. Static stretching is where you gently lengthen a muscle for more than 30 seconds. Lengthening is temporary and while it is still safe it should be avoided as a warm up before physical activity. Stretch before you jog rather then after. The benefits of static stretching are limited. Some experts question it's necessity. Dynamic stretches are movements under momentum that warm up several muscles at a time while slowly increasing your heart rate. Try repeated lunges with arm lifts. The above video has some other good examples. Yoga and Pilates experts don't really know how stretching can make you more flexible. They know it's not because your muscles get longer. It's because you stop feeling the pain. Your brain tolerates the position you're forcing your body into, once it learns the muscles safe. It's why babies are so flexible and patients under anaesthetic have full range of motion in muscles that are normally restricted. It's mind (or lack of developed neural pathways in the case of babies) over matter. Lengthening muscles is counterintuitive to strengthening them. Imagine a rubber band stretched to its maximum. It loses it's elasticity or power. A more complicated type of stretching is Proprioceptive neuromuscular facilitation (PNF,) which is a fancy term for stretching while contracting your muscles. Studies have shown that gymnasts increase their flexibility with PNF.... in other words don't relax the muscle you are trying to stretch... but be relaxed, always. Remember the old adage"if you don't lose it you lose it?" The best way to become more flexible is to move the muscles that you want to be more flexible. Enough information for one day. I remember doubting my teacher the first time I learned traditional facts about flexibility were myths. Then I realised I'd never questioned my original source of information. I just believed my coaches and teachers, who no doubt believed their teachers, who believed their teachers ad infinitum. Go ahead, lay your head on your knees and fold yourself in half, if it feels good... and if your neural programming allows it. Just choose the right time and know why you are doing it. My pathways do not allow it. Nor does my round tummy or soft tissue injury and possibly a genetic flexibility limit too. Have you experienced facts turning out to be myths. What was your initial reaction? 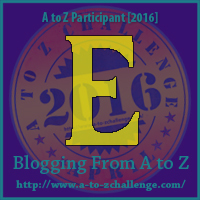 E is for exercise equipment. To save myself from creating a long list of exercise equipment I'll stick to my three recent favourites. The first is power suspension cables... otherwise known as TRX which is the original brand name, probably better quality but costs a lot to even use the name. As with most workouts it can be tailored for people with no experience, right up to athletes. This simple piece of equipment can can be attached to a door and used at home or set up to accommodate a group of people in a gym. The second is resistance bands. They are so versatile and a lot of fun. Perfect for, but not limited to, strengthening your arm and shoulder muscles. They're also a valuable tool for rehabilitation or first timers. With the right tension, repetitions and movements they can also be a challenging workout for people that are used to training a lot. Finally stability balls are my favourite. Even sitting on one will help to improve your stability because you are forced to engage your core muscles - without too much effort. It's easy to fall into the trap of thinking fitness is only for people with the latest exercise equipment or gym memberships. Refer to my B is for bodyweight exercises post if you are tempted to spend too much money on the latest new ab cruncher fitness fad. I once purchased a treadmill that ended up becoming a dust collector... and well used clothes horse. Like many other pieces of exercise equipment it got given to a friend/moved to a garage and forgotten. I could have saved myself a lot of money and got more use out of a skipping rope, or a proper clothes horse. On the other hand I met an elderly woman who bought a cheap manual rowing machine in the 1980's and still uses it every morning for 20-30 minutes. She was super healthy and fit. Money well spent. Do you have a favourite piece of exercise equipment or are you guilty of buying dust collectors? I've studied some nutrition in the various courses I've done over the years. While I'm no expert, it's safe to say there is a lot of conflicting information. One thing I know for sure is that a healthy diet will improve your own health and the health of the entire planet. Every single body will gain weight if it consumes more calories than it requires. If you aren't eating right your body will show you. Pharmacy and supermarket aisles are full of products that relieve symptoms of digestive problems. Bloating, irregular bowels, mint for bad breath. Diet is often the overlooked cause of many dis-eases including headaches, fatigue, skin conditions, immune disorders, aches and pains. Good eating requires good planning. In season, fresh or closest to natural is best. Ultimately the best diet for you is one that works for you. This can get tricky in a household where different people have different needs. Nobody enjoys cooking separate dinners. Moderation and variety is key but don't beat yourself up for having an off day, week or lifetime of bad choices. There is always the next meal to get right. If you are fortunate enough to have no adverse effects or allergies to certain foods a balanced diet will include starches, protein, carbohydrates and essential fats... and plenty of water. For high protein fans I love making a giant omelette full of chopped veggies. They are so versatile and delicious for breakfast, lunch or dinner. Serve with salad, chillies and sardines or sprats for an extra protein hit if you like them. For you starch lovers... the buzz around the net at the moment is the potato cleanse. Anti starch? Rinse and cool your rice for several hours before eating it. It is important to recognise bad habits. Choose to learn to live with the consequences of them or change them, with help if necessary. If you suspect something is not good for you try eliminating it for a week or so. Note how you feel both before, during and after adding it back into your diet again. While breakfast might be touted as the most important meal of the day, if you eat late, wake up late or aren't active till later in the day... it's ok to skip breakfast. Pay attention to how your body deals with the ingestion, digestion and elimination of every meal.